The ON‑PBD‑705W is an optional device of IR‑TEC's OS‑NET wireless mesh network solution. 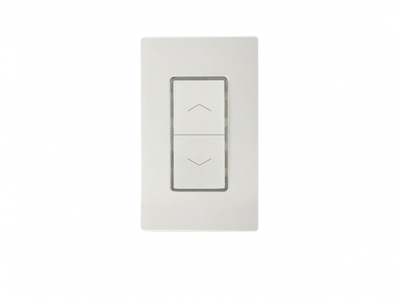 This device is exclusively designed to replace an existing wall switch/dimmer to broadcast manual on/off/dim control commands to the assigned group lighting, while also function as a network node. By grouping the ON‑PBD‑705W with OS-NET sensors and controllers, you can effortlessly achieve an energy-efficient, code-compliant smart lighting control through a state‑of‑the‑art wireless sensor mesh network with manual controls capability for presentation or special event.